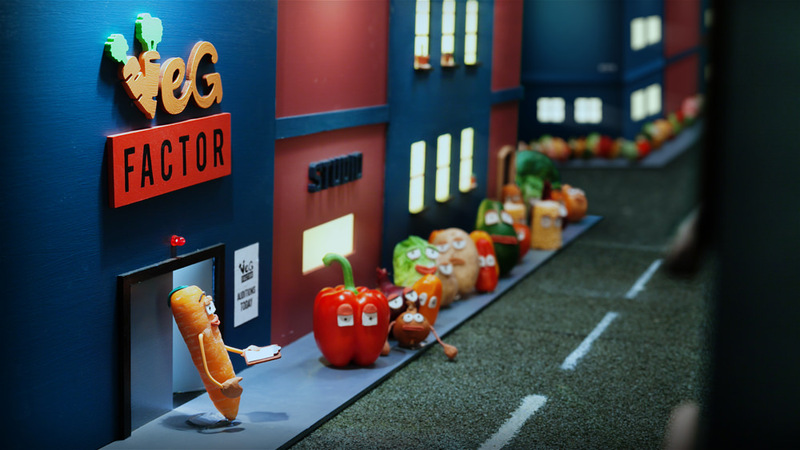 We created Veg Factor to showcase just how fabulous and versatile Shallots can be. 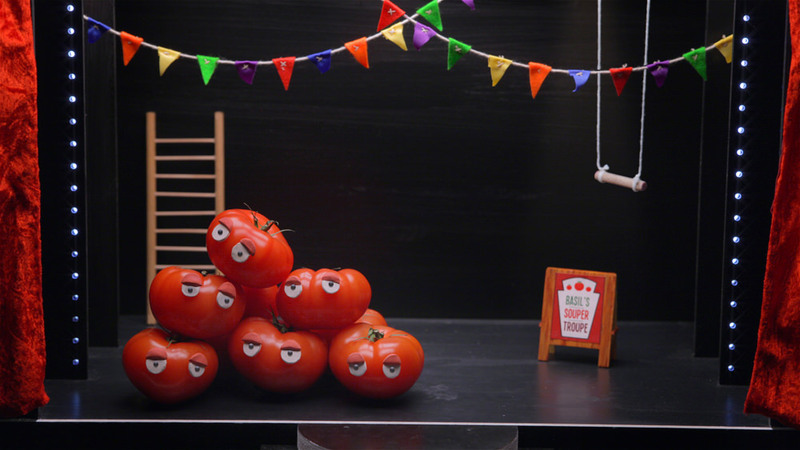 Introducing Shelly the Shallot, here to dazzle you with her spectacular performance! The young starlet epitomised the main issue: Shallots may be small, but they are powerful - and all too often overlooked! 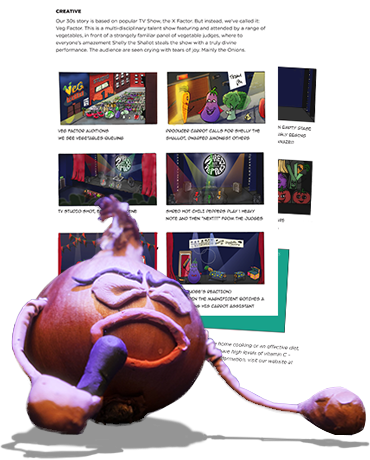 Raising awareness of Shallots shouldn’t be boring, so we decided to focus our efforts on a frankly shameless parody... A talent contest video would be the best way to give Shelly, our unlikely heroine, her time to shine. 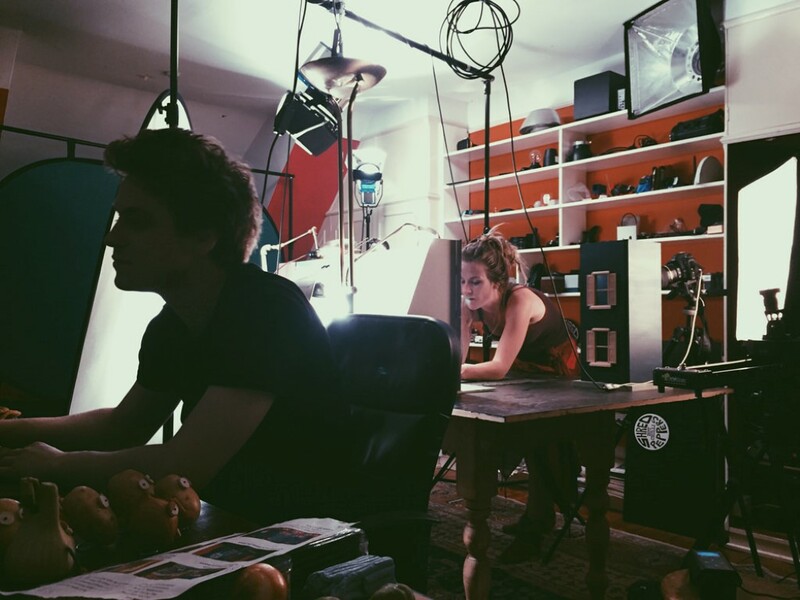 Read on to discover more about the animation process. 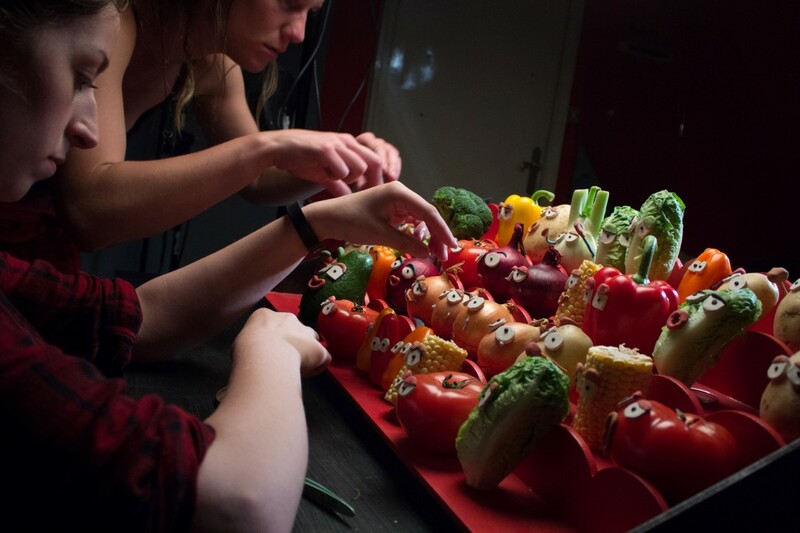 After the storyboard was drawn up, production began building props, shopping for fresh vegetables as well as sculpting hundreds of eyes and mouths from plasticene. 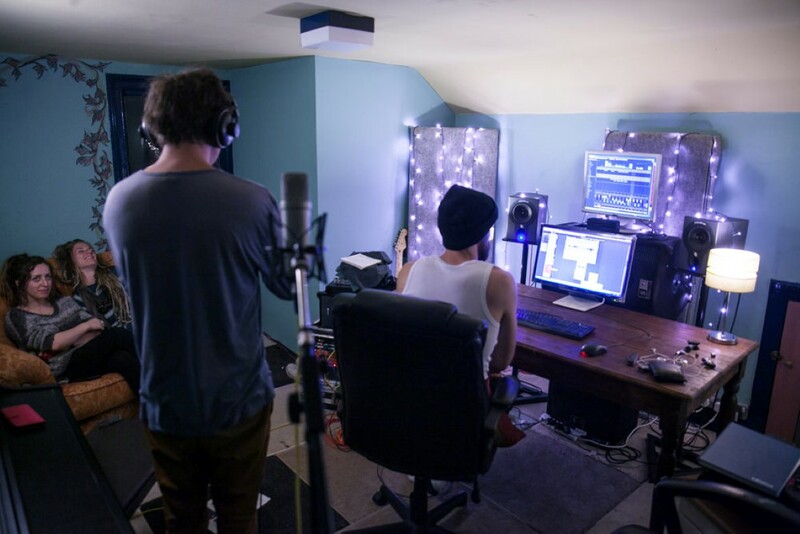 Before any animation takes place, the audio track needs to be locked down, to ensure the video will be in sync. 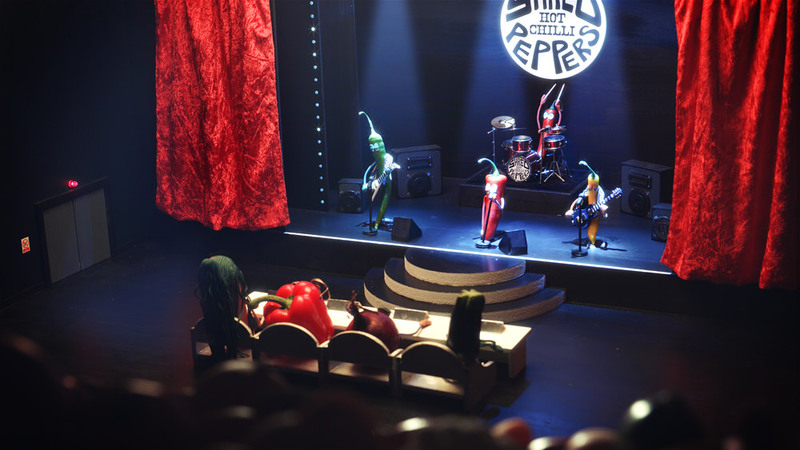 Several voice actors gave life to the veggie characters, and in particular to Shelly’s final performance. 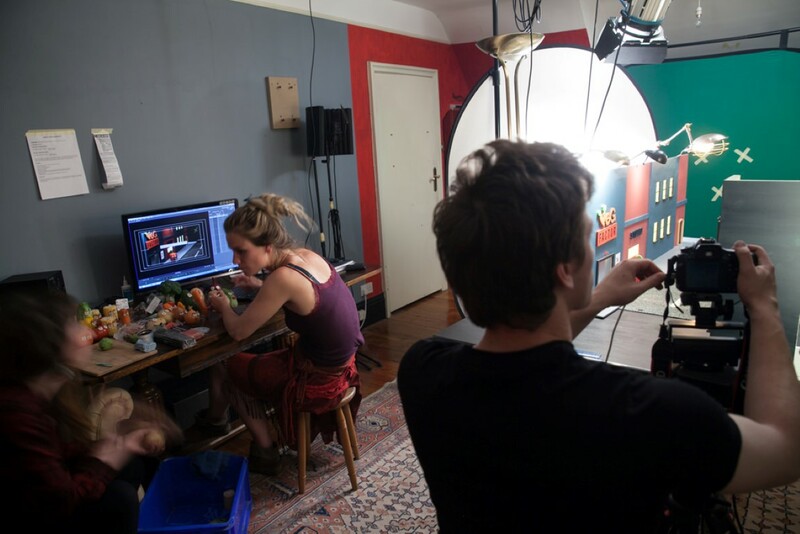 Finally, Veg Factor was lovingly animated - one frame at a time! 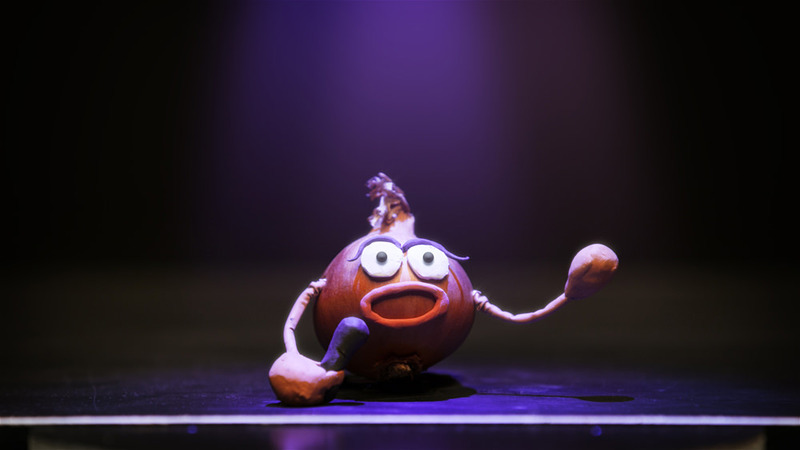 Shelly the Shallot may know her way round a talent show, but why would you want to cook with Shallots more regularly? Well, they may be small, but they are powerful! Shallots are low in fat, count as 1 of your 5 a day, and have high levels of vitamin C (twice that of onions!) They’re perfect for simple home cooking as well as fine cuisine. Take a moment to explore this website for fantastic recipe ideas and inspiration, and add Shallots to your weekly shop. And here’s an idea, why not pick up some plasticene too? 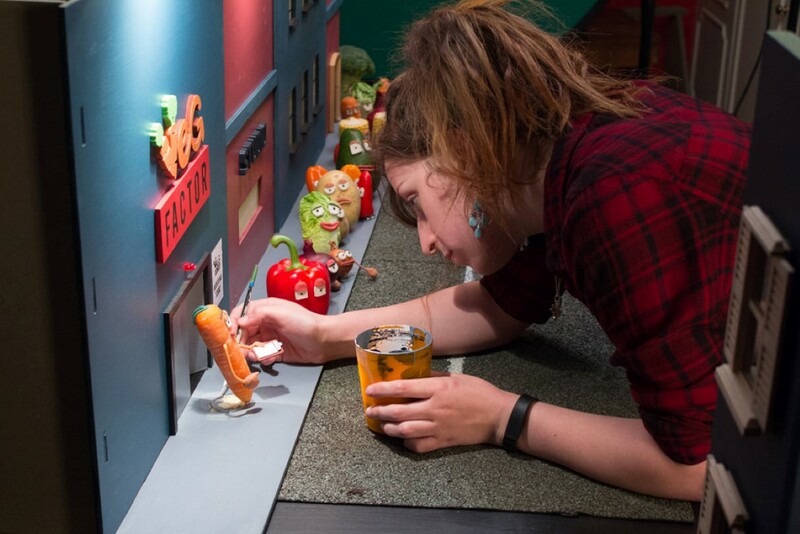 You can say it’s for the kids, but we know you want to make your own vegtable characters...! Here it is, the final Veg Factor video! Now we’re all better acquainted with the world of vegetable celebrity, it’s high time you inflict this on your family & friends, to spread the good word about Shallots throughout the land. 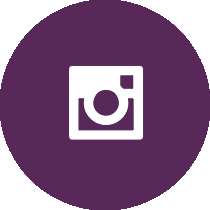 Don't miss any of our new recipes and tips any more. Subscribe for regular updates.